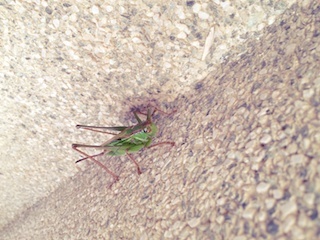 I found a grasshopper in front of the entrance. I can see many kinds of insects in my garden. My husband found it ! It was a stag beetle. I haven't seen it long time. As soon as I saw it, I took a picture.